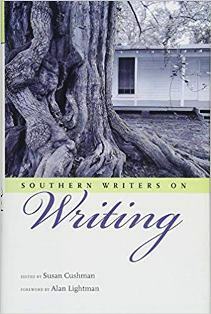 Southern Writers on Writing, edited by Susan Cushman, addresses the ever-present question of what it means to be a writer, and more specifically, what it means to be a Southern writer. The complex relationship of writer to place is further complicated in the South by its history of racial tensions and by the ghosts of literary giants like William Faulkner, Flannery O’Connor, and Harper Lee. The twenty-six essays in this book are divided into six broad categories: “Becoming a Writer”; “Becoming a Southern Writer”; “Place, Politics, People”; “Writing About Race”; “On the Craft of Writing”; and “A Little Help from My Friends.” Writers as diverse as the South itself take readers through the familiar and the strange in the way that Southerners like best: storytelling. The glue that holds this collection together is love, sometimes unwillingly, for the South and writing—not a wide-eyed innocent crush, but a very grown-up love that acknowledges the problems yet is still committed to the relationship. The dual nature of the South threads through the entire anthology. 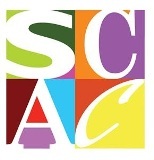 For some, like Joe Formichella in “Consider Kudzu” and Sally Palmer Thomason in “How I Became a Southerner,” it means immigrating to the South from other parts of the country and discovering a land that is very different than frequently depicted in television and news. For others, it’s the challenge of living with a personal heritage; as W. Ralph Eubanks says in “The Past Is Just Another Name for Today”: “My lived experience has taught me that turning away from one’s personal history is a way of denying yourself and your very existence...it is the way Mississippi continues to embrace its myths that troubles me, yet it is the deception and denial of history that also propels my writing.”. Writing, like the South itself, can be a bittersweet experience. Cassandra King describes her family’s ambivalence about writing as a career even as she herself is both immersed in it and fascinated by it in “The Ghost of Josiah King.” Jennifer Horne sees writing as a separation from the world, a way to view the South that is both beautiful and challenging from the sanctity of her space in “Where I Write.” On the other hand, Corey Mesler sees writing as an entry into a world from which he is isolated in “The Agoraphobic Writer.” For Wendy Reed, in “Lyrical Acts,” writing is the ultimate aphrodisiac, while for others, it is intimidating. Editor Susan Cushman shares how a group of supportive women writers helped her overcome her insecurity about writing in “Hard Labor: The Birth of a Novelist.” In “A Woman Explains How Learning Poetry Is Poetry and Not Magic Made Her a Poet,” Jacqueline Allen Trimble finds that poetry isn’t magic but is hard work: “Most writers are not geniuses, and most of those who appear to be have created that illusion by the steady, consistent application of enormous sweat equity.” Suzanne Hudson, writing in part as her biting alter-ego RP Saffire in “That’s What She Said: The Sordid Business of Writing,” illustrates the divide between writing and the world of publishing and marketing. The South’s contradictory nature may be challenging, but in the end, for these authors it’s home. Trimble expresses it, as all good Southerners do, with a story: “A professor once said to me, ‘Southerners don’t transplant well.’ He was right. I lived outside the South for two years and hated every minute of it…When I re-entered Alabama after that long absence, I stopped my car, got out and kissed the ground…My poetry comes out of my quarrel with myself as I grapple with the dualities of my feelings about the South, my home, my lovely, dysfunctional home—pride and shame; joy and sadness—the place from which comes both the love and rage that undergird my work.” Telling stories in the beautiful language of the South transcends the everyday ugliness and provides hope. This soft melody of Southern voices rises from the page, saying, as Sonja Livingston suggests in “Stardust: An Essay on Voice in Four Parts”: Listen. Here I am. We are together now.